Yay! I love Pink Saturday! and the theme was "Winged Things". Our swap was to make "something with wings on a stick". I forgot to take a picture of it before the meeting. flattened and collaged and gessoed. 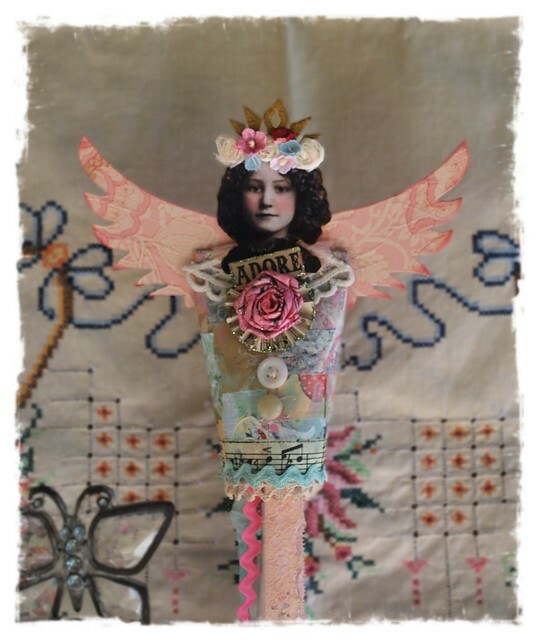 some vintage lace, crepe paper, yoyo and paper rose. hanging from a dowel inserted into the tube. 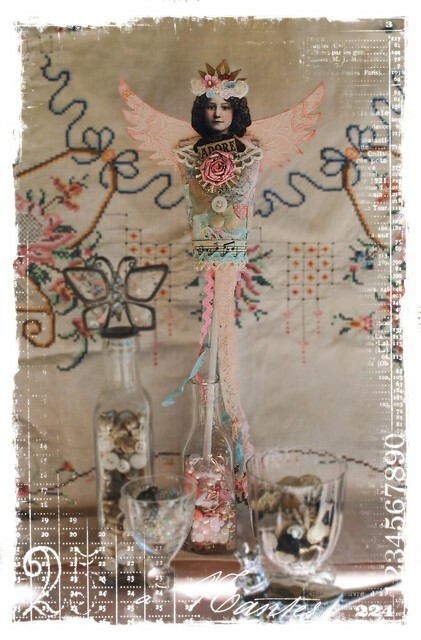 The wings are made from a Tim Holtz die cut. then it turned out so cute she decided to use it for her swap! palmiers and angel food cake. and I'm so excited to share our next month's project with you! Happy Pink Saturday, and have a wonderful weekend!! Visit How Sweet the Sound for more pinkness! oh, what fun you must've had and I love how they came out. I love artful gatherings. Thanks for sharing. I love your winged thing! It must have been really great to go to a gathering like that. I wonder if anyone has them around here? Nice french music, too! 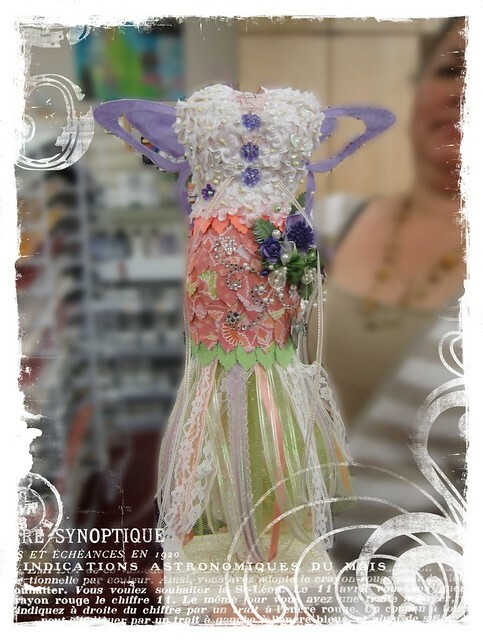 Your winged creations are divine! 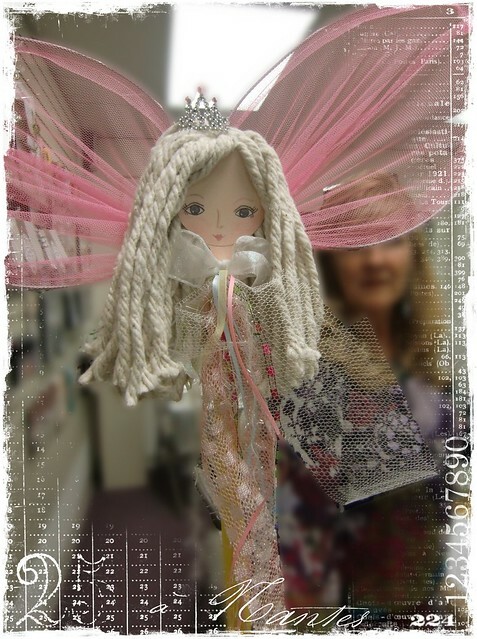 I'm sure the recipient of the swap loved her doll. Lorraine, I can't beleive you put Mop Dolly on Pink Saturday! Your photos are great - love the pic of Ginger! She is more decorated than Mop Dolly. I just left a comment on PW and now I have to leave one here, too! Your Angel Swap was so great...and your Angel is outstanding. Love what you ALL made! I shall have to become a 'follower' so I can keep up with you! Have a happy Pink Saturday!! Hi Lorraine, thank you for your sweet comment yesterday. I love the angel wings and yours is my fave. It was fun to see the different ideas everyone came up with about wings. 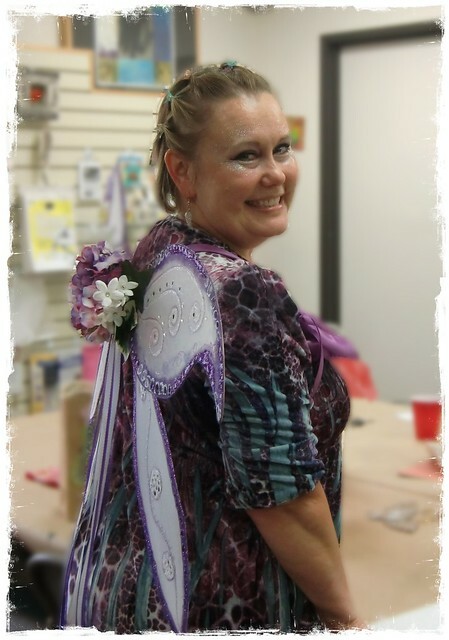 The hostess looks so pretty in her 'wings.' A fun post and you are very clever to use a toilet paper roll. Who would know? Not me.